Hair styling is an art, and hair stylists are masters of their craft. However, you don’t need celebrity clients to create great art. With an endless number of cuts and styles to choose from, finding the right one to match the shape of your face might seem like an impossible task. At StyleU Salon, we ensure that each and every client receives the best possible cut and style for their face. We’ve gone over some basics to consider before coming in for your next appointment! If you’re thinking about straightening, a keratin treatment may be the right choice for you. Keratin treatments infuse protein into your hair as well as straightening agents that smooth things out and control the frizz. Even blow-drying time is cut in half after a keratin treatment. Traditional keratin treatments can be time-consuming, another option is a keratin express treatment. You get the same smooth, shiny, healthy finish in less time and at a lower cost. Express treatments can take as little as a half hour, with results lasting for four to six weeks with styling your hair. On the other end, if you’re looking to add some curl to your style, try a perm. Perms used to be associated with the big hair, frizzy look of the 80’s and 90’s, but today’s perms are different. The emphasis is on soft, healthy-looking hair and natural looking curls. The harsher chemicals of the past have been improved through technology, and with an emphasis on conditioning, today we get that gorgeous curl without the extra frizz. Perms can be customized in many ways to create the perfect style for you. The size of the curl depends on the size of the rods used, so curls can be tight and small or loose, bouncy beach waves. For a unique look, you can perm only the ends and leave the top straighter. Whatever celebration you’re hitting up this year, we hope our stylists’ top tips have helped you rock out in style! 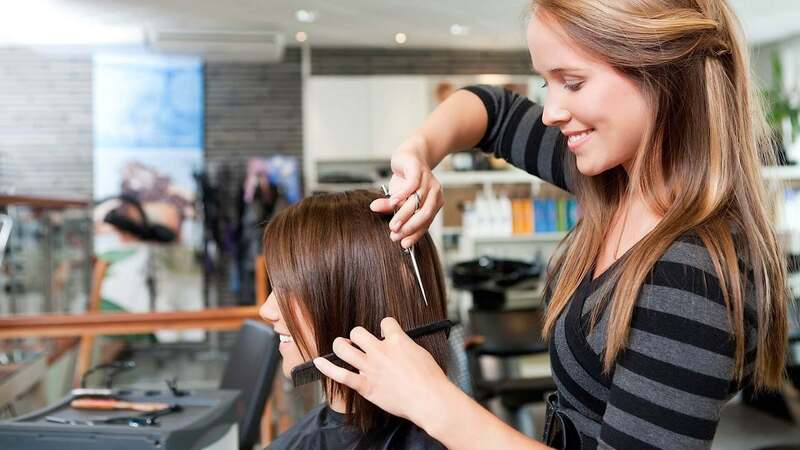 If you are looking for a celebrity cut without a celebrity’s checkbook, Contact Us today at StyleU Salon and book an appointment with our brilliant hair stylists for more educational information.